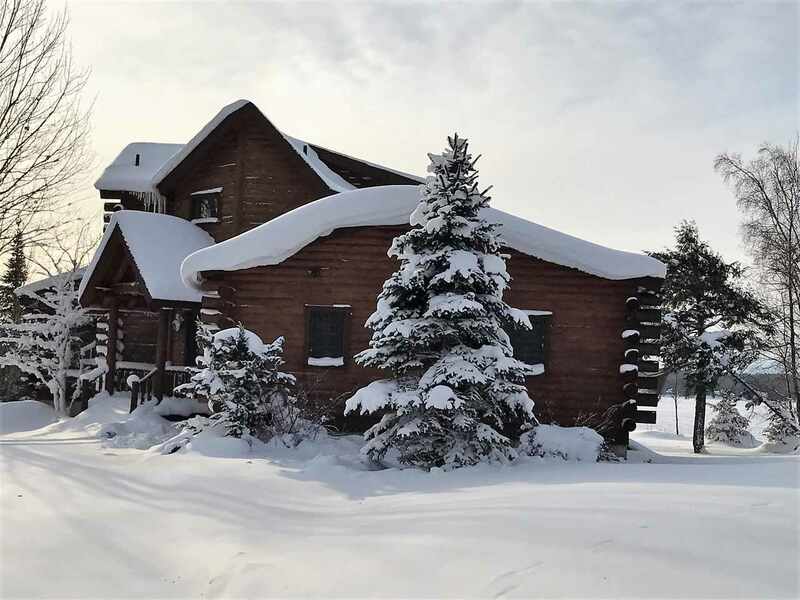 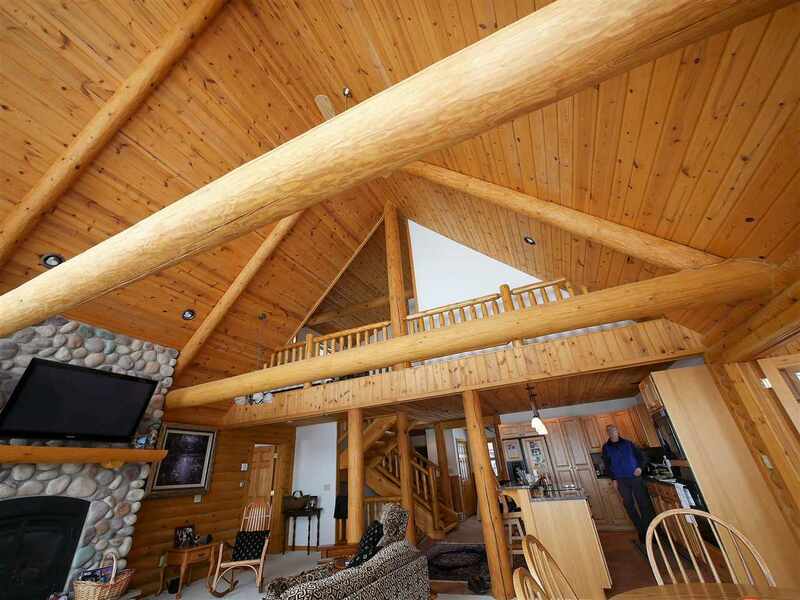 Be "One with Nature" in this custom Tomahawk Log home with the natural feel of massive logs, yet with the modern conveniences that allow you to really enjoy living on the lake. 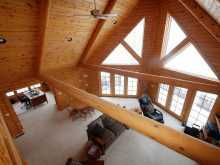 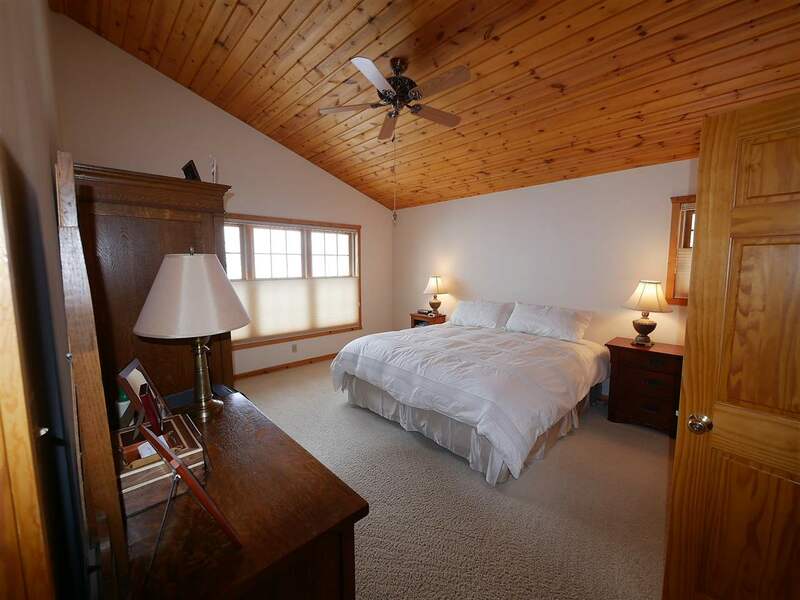 The peak shaped, vaulted great room gives you a panoramic view of Portage Lake from sun up until sun down. It's a feature you won't see in most homes. 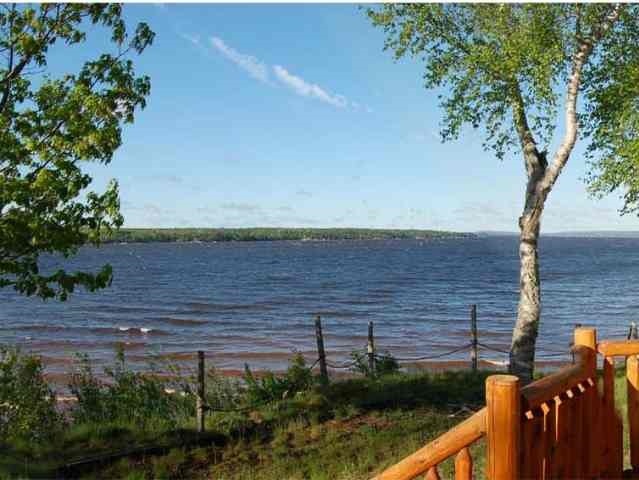 You can even see the village of Chassell from the property. 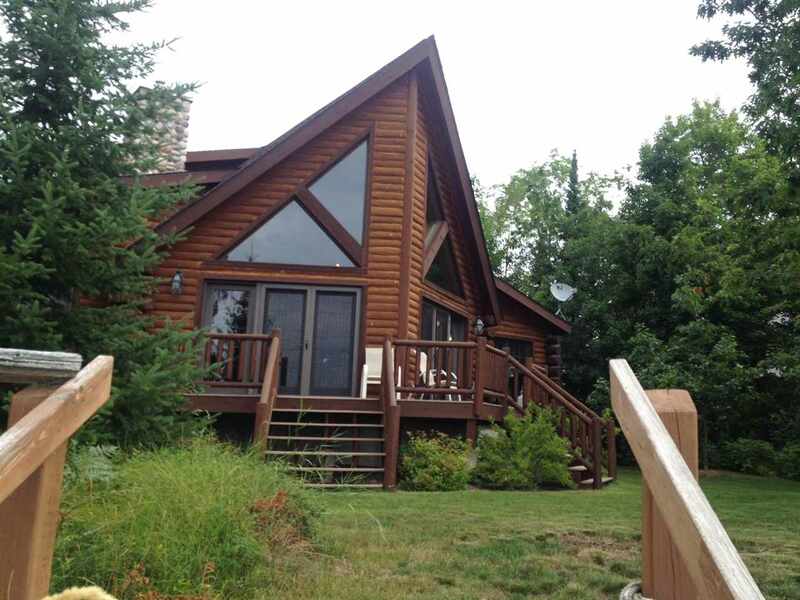 The driveway is your wooded entry for your private lake home. 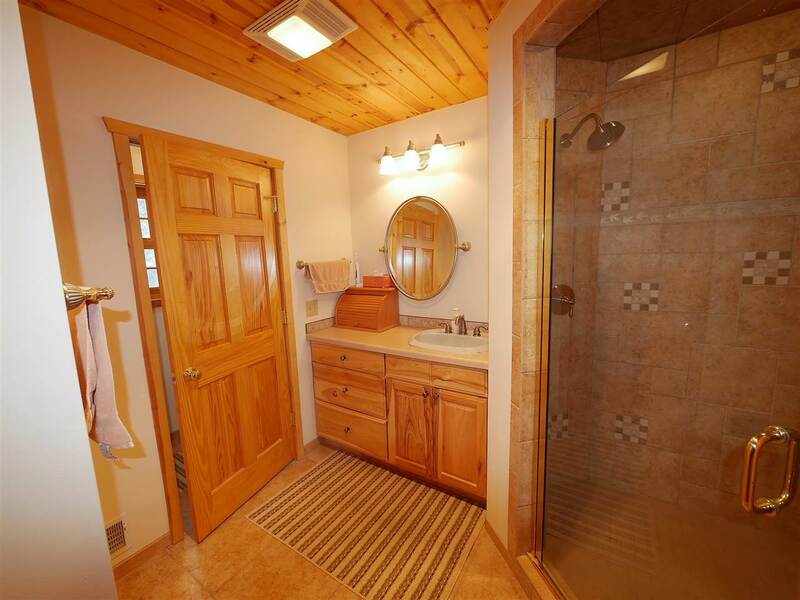 The home is meticulously maintained by the seller and looks and feels like a new home. 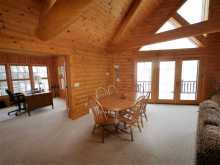 The design has so many features to make you feel comfortable and "one with nature" too. 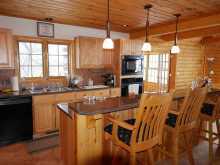 The main floor offers a generous open floor plan with a kitchen and dining area that look over the great room and out into the lake. 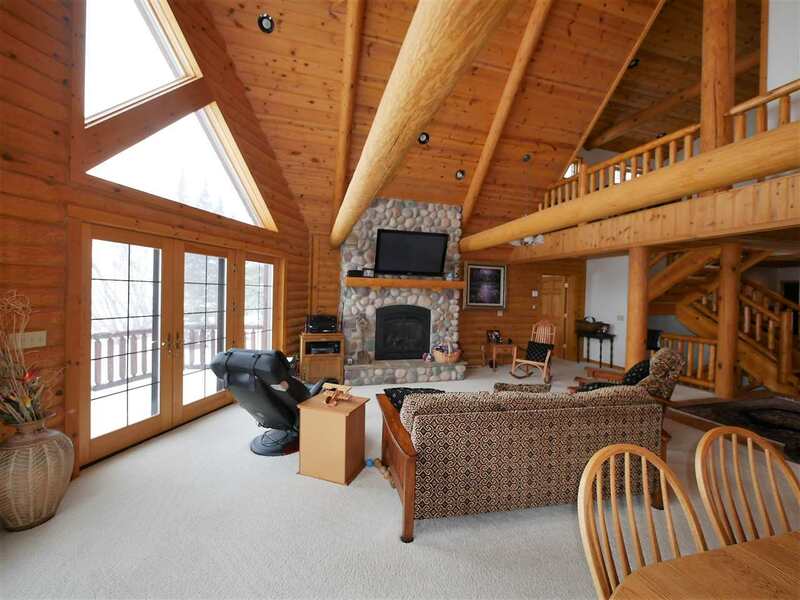 The great room is also where you will enjoy the large stone fireplace for those cozy times with a beverage when it is too cool to enjoy the expansive deck outdoors. 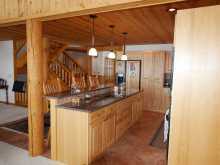 It is also home to the dining area, a lovely breakfast bar where family or guests can enjoy the rustic feel of the home and enjoy the cook's company. 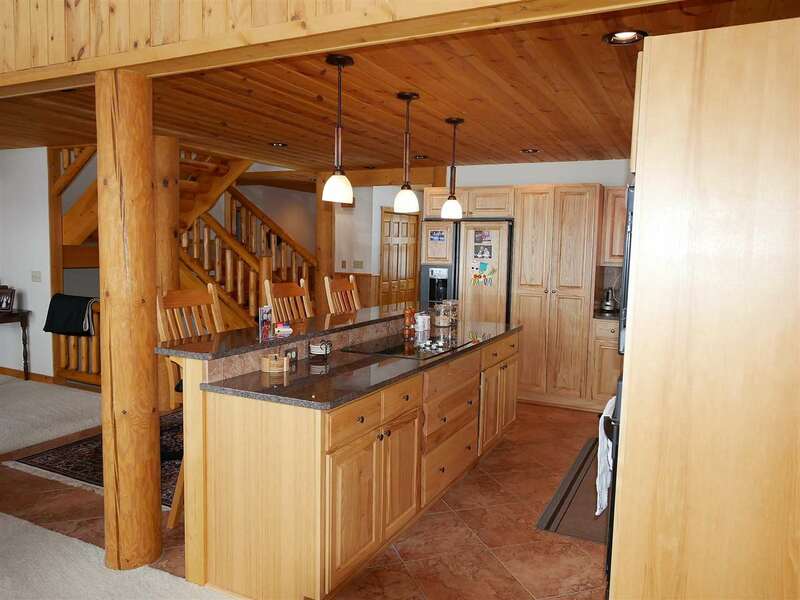 The kitchen appliances are built into the custom hickory cabinetry. The flooring blends a mix of neutral ceramic tile with carpeted areas where it adds a touch of softness to the rustic design of the home. 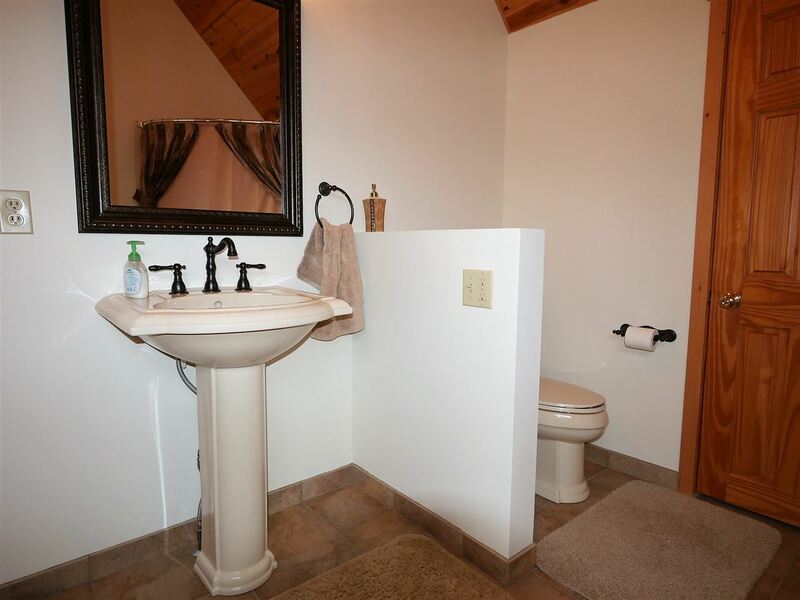 The main floor also has a very large master suite, looking out to the lake, with a walk-in tiled shower and a separate enclosed water closet. 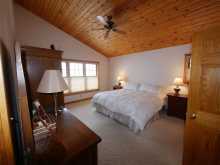 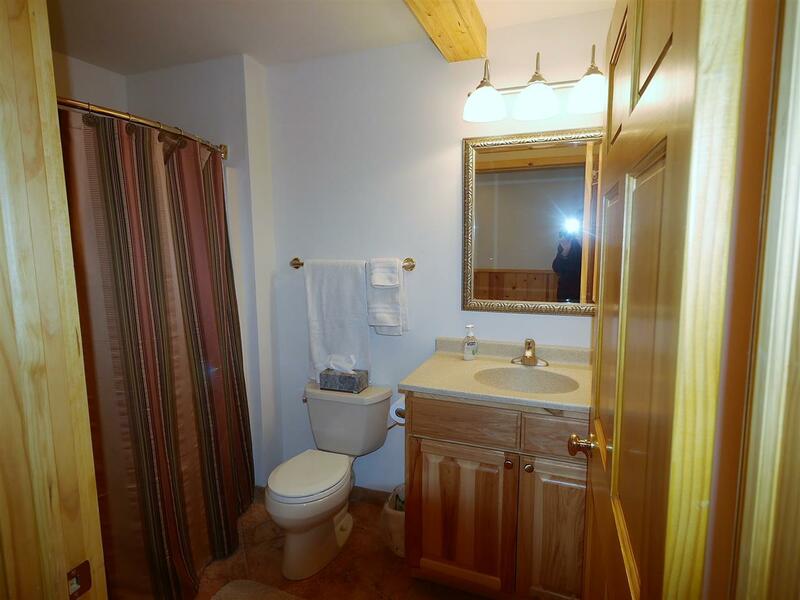 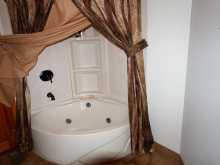 There is a separate bedroom suite on the upper level with Jacuzzi tub. 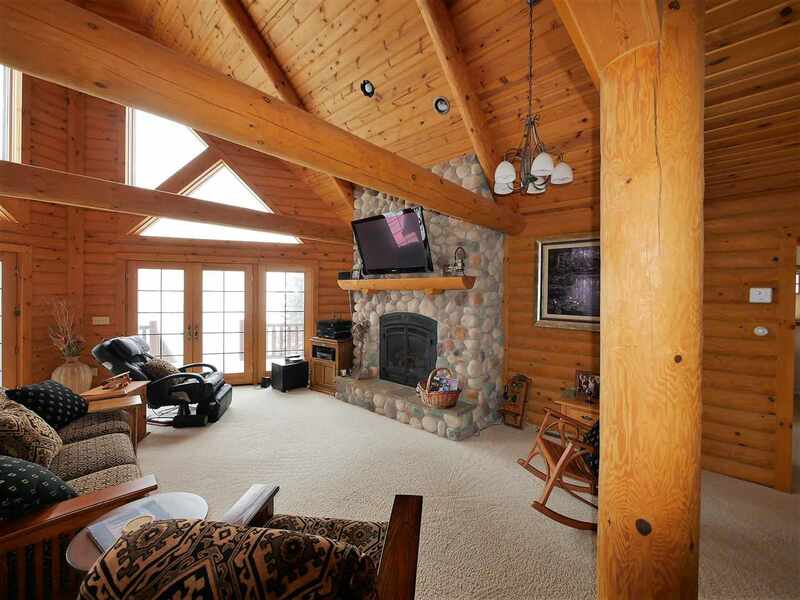 The upper level also has a reading area for relaxing that looks down at the log great room and the lake. 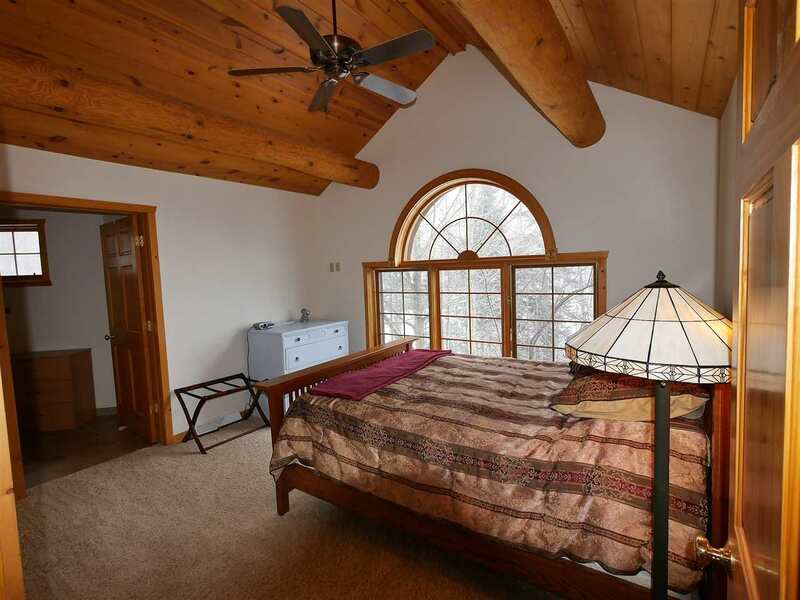 It could also be home for an occasional bed for guests. 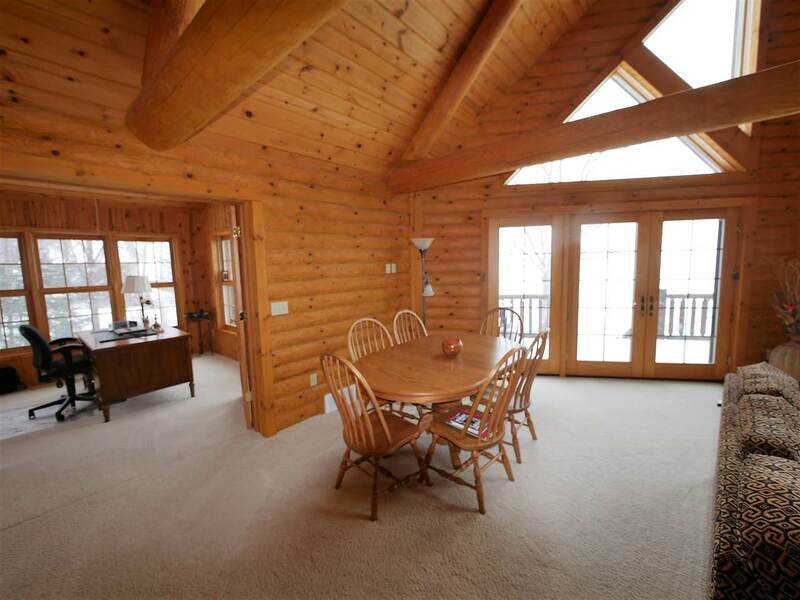 And don't forget the sun room/family room off the great room. 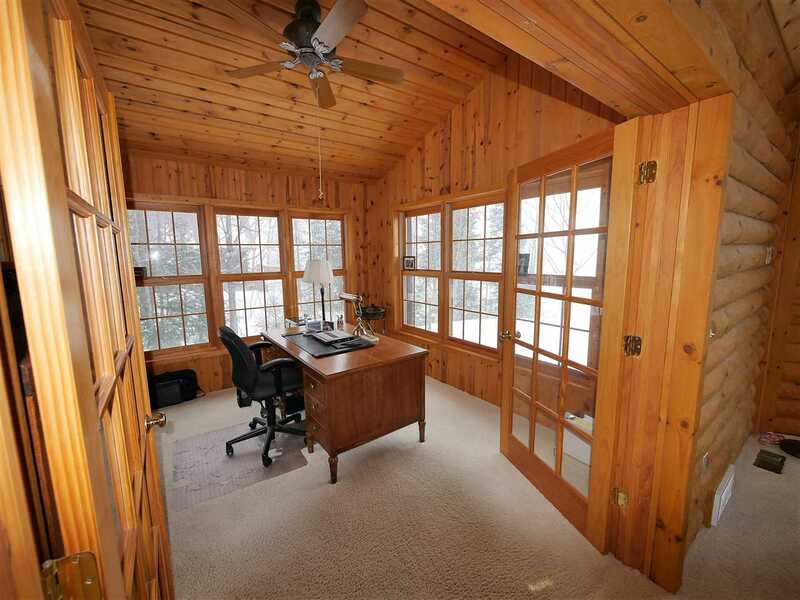 The current owner uses it for an office but it could also have other uses. 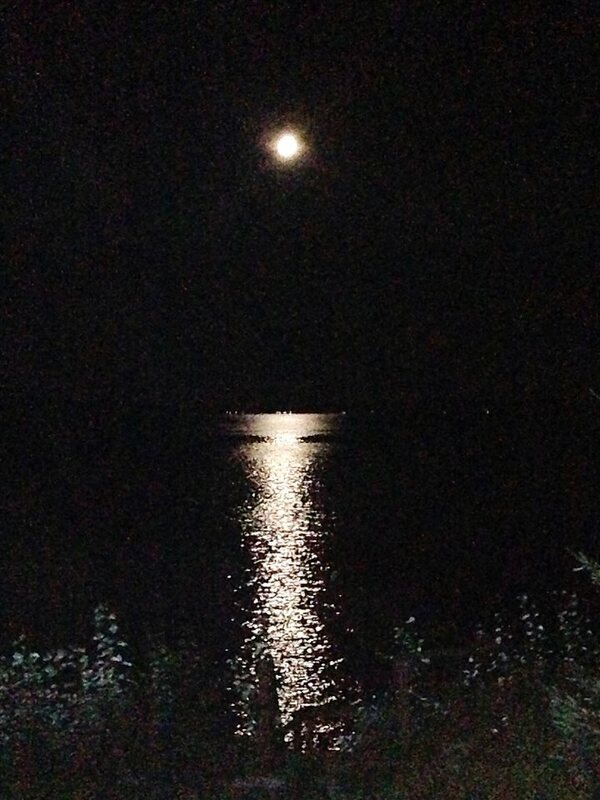 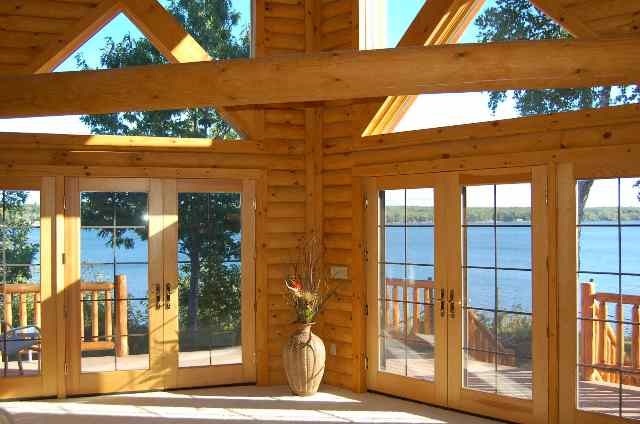 Lake views are enjoyed from all major rooms of the home. The basement is huge! It has outside access and could be finished for a variety of useful living spaces. 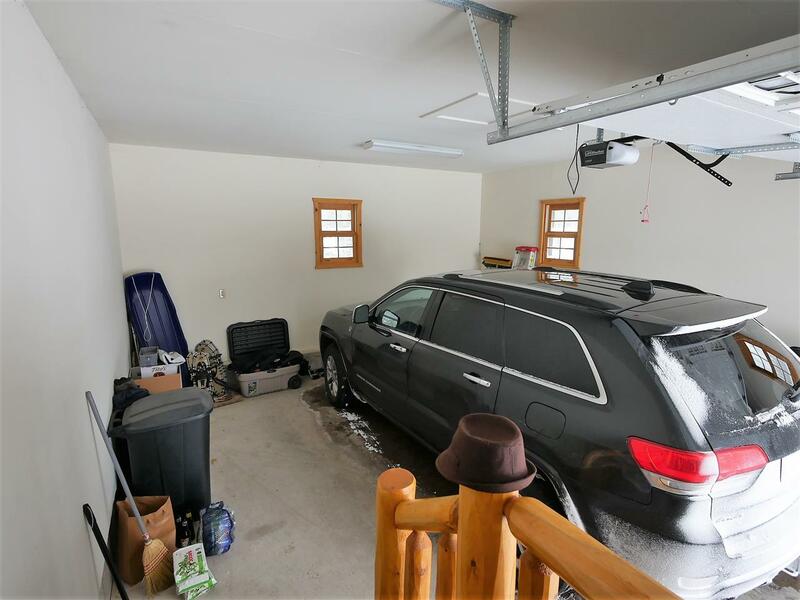 The 1 1/2 finished garage could be enlarged to accommodate more vehicles. 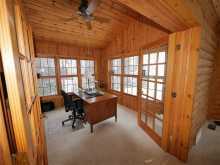 There is also a small storage shed or it could become a garden shed. 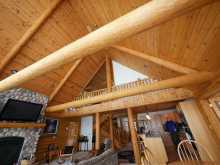 The property is well maintained, in fact, the owner has recently installed 50 year warranted roofing and has an ongoing plan for staining the logs. 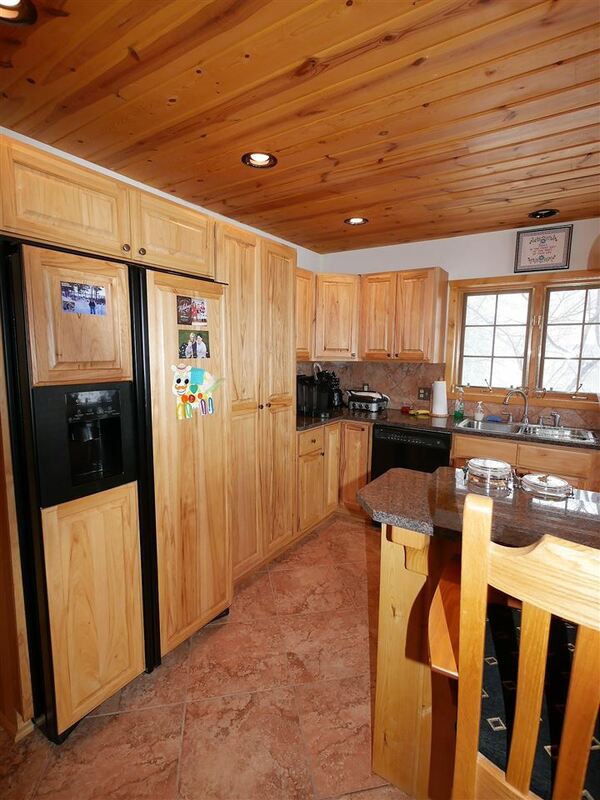 This home is in very, very good condition and is "move in" ready. 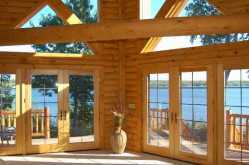 There was so much thought put into the design and details of this home, all so the owners can enjoy the many moods of the lake. 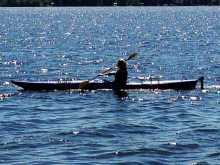 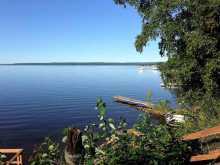 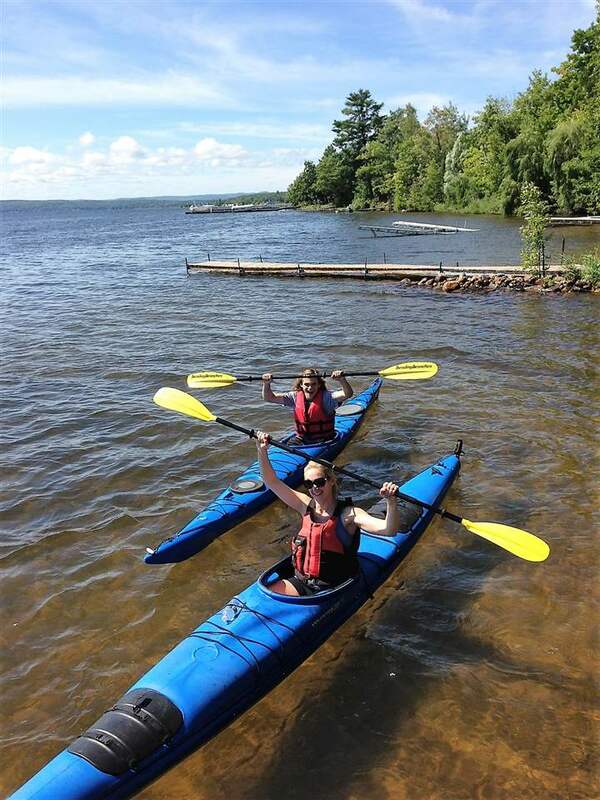 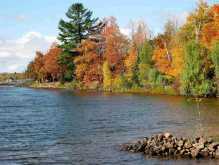 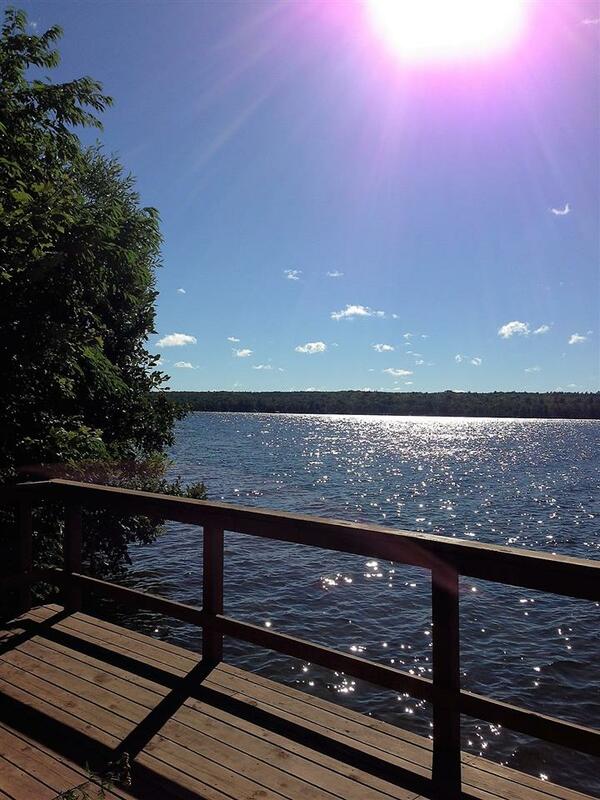 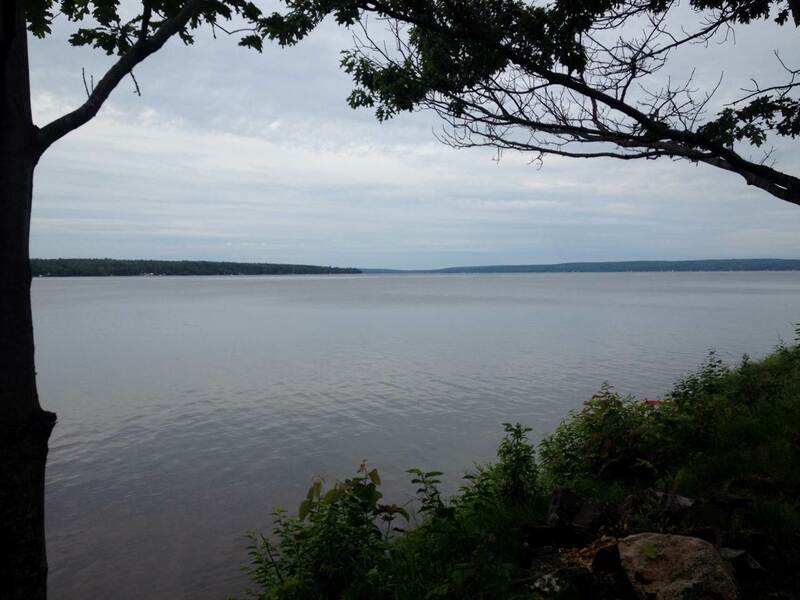 There is a year round dock with security railings so you can enjoy swimming, boating and fishing or watch the loons, eagles, otters, waterfowl and even the occasional owl that pass by. 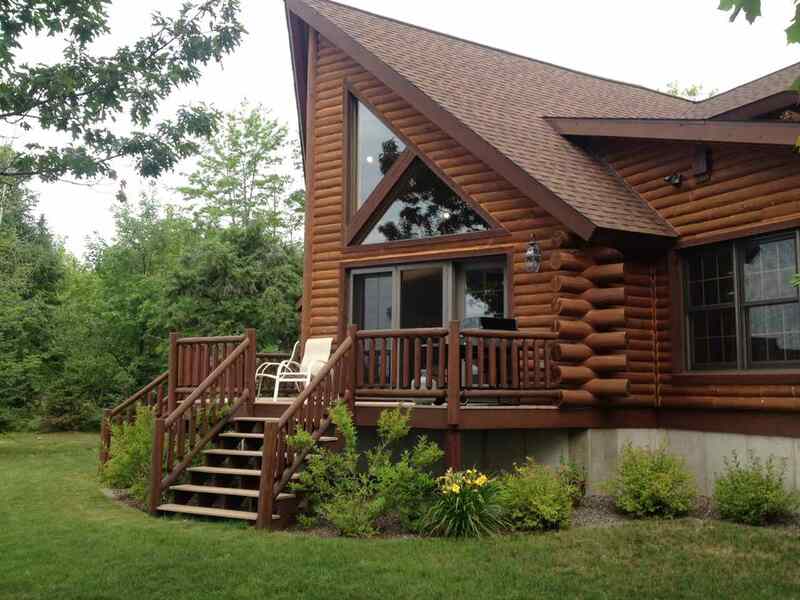 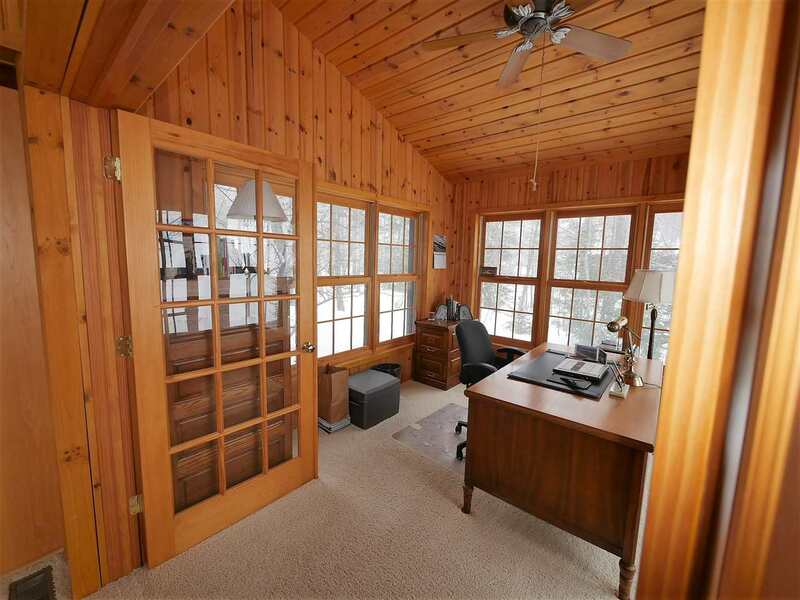 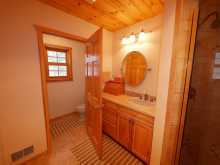 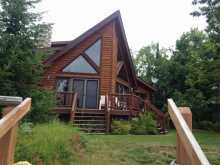 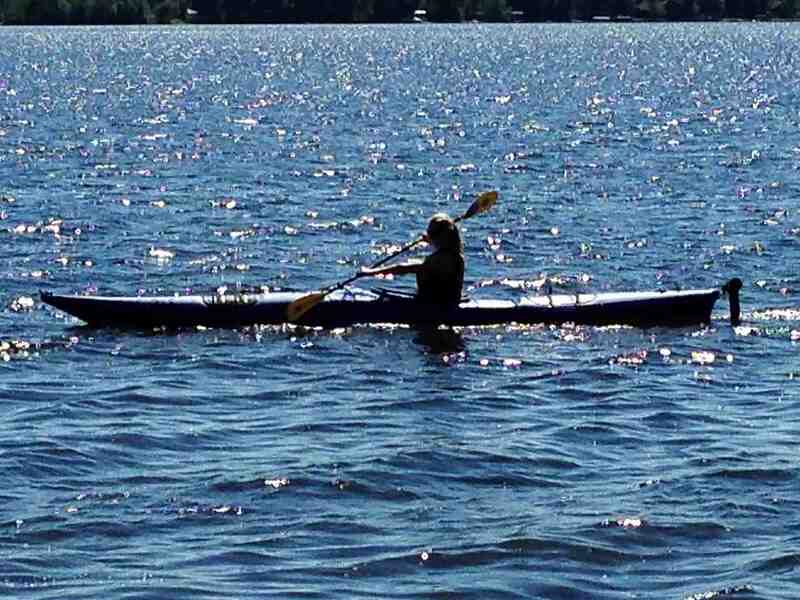 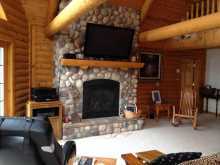 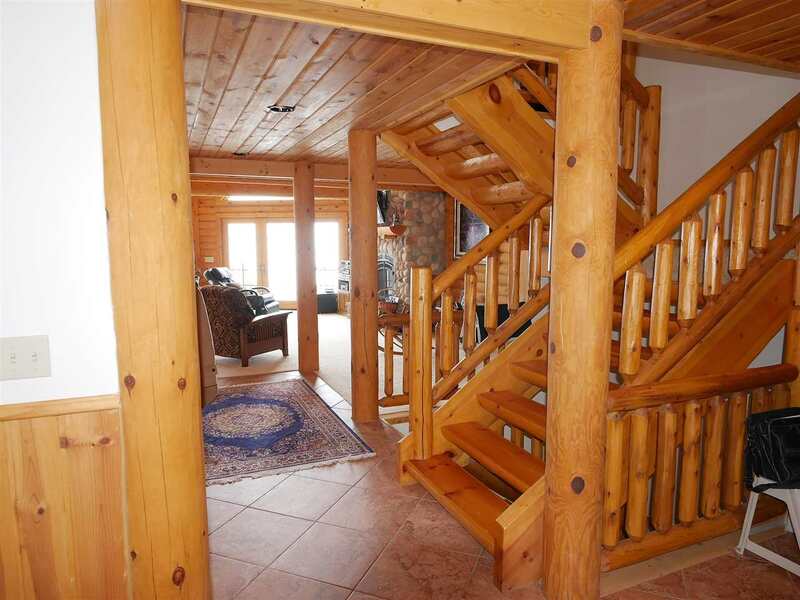 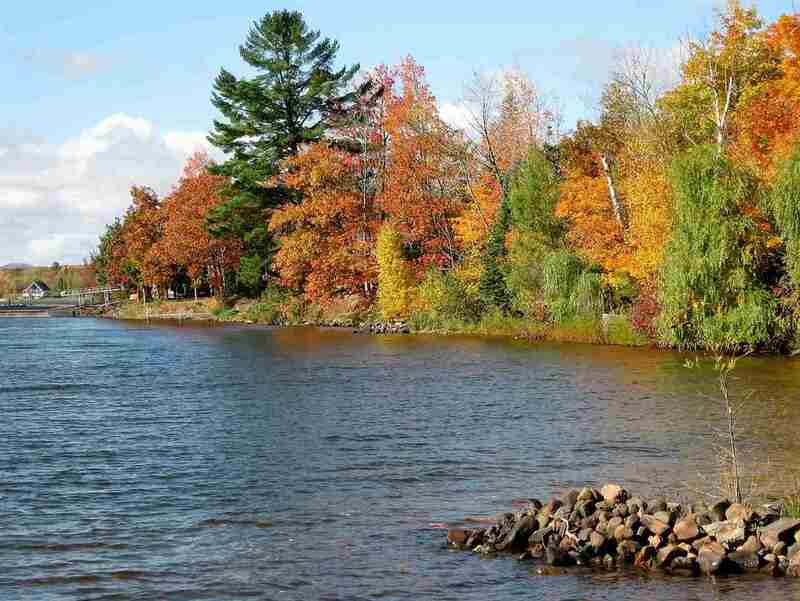 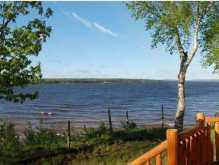 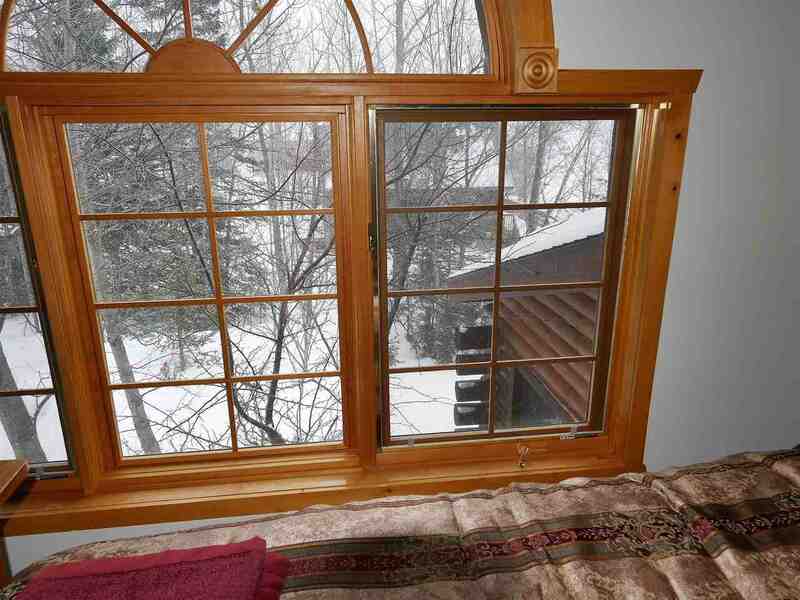 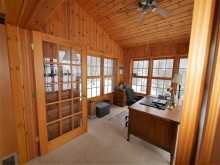 It is an especially great, contemporary log lake home where all can be comfortable being "one with nature". 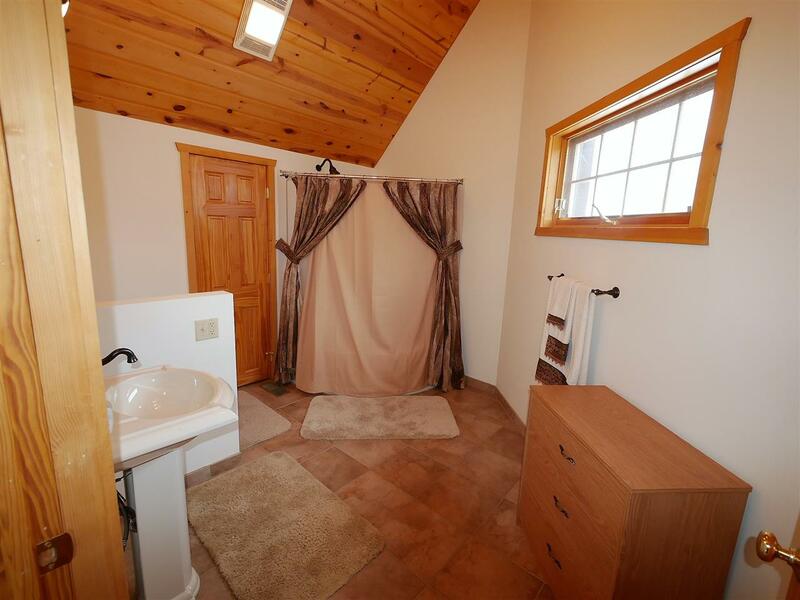 Make an appointment for a personal showing now.